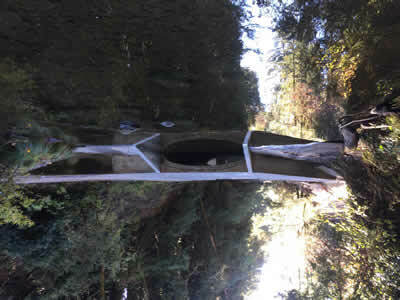 The ability of IWRP to solve difficult problems, leverage grant funds, and secure resource agency support can be seen in San Mateo County’s Memorial Park where the Resource Conservation District (RCD) and County Parks are removing the last two remaining fish passage barriers on Pescadero Creek for federally listed Coho salmon and steelhead trout. 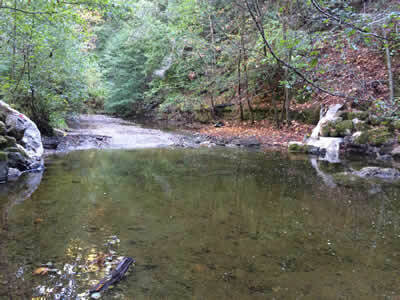 It will enable unfettered access to 62.3 miles of creek for migrating, spawning and rearing, including some of the best habitat in the watershed for fish. 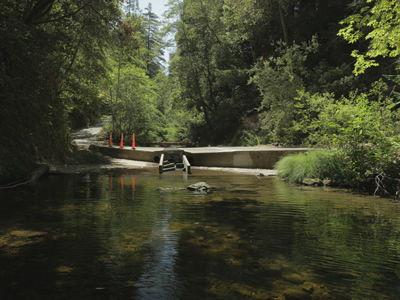 Although the project had been identified as a top priority by state and federal fisheries agencies as well as the landowner (County Parks Department), for various reasons completion seemed out of reach and two grants that had been awarded to the County were rescinded. After the project was defunded, resource agency representatives approached the RCD with a proposal: they would support and try to fund the project if it went through IWRP. County Parks embraced the collaborative approach and support for a project they had been carrying forward for years. Through the IWRP process and with IWRP design funding the agencies and the landowner came to an agreed upon approach that was also more cost-effective than the previous attempt. The project was re-funded by the CA Department of Fish and Game’s Fisheries Restoration Grant Program (FRGP). County Parks contributed their own resources and secured funds from a private foundation. At long last, the project went to construction the summer of 2015. In addition to the barrier removal project, there has been a coalescence of complementary efforts focusing on enhanced streamflows, instream habitat enhancement using large woody debris, control of sedimentation and erosion, and improved habitat complexity. When taken together, migratory, rearing, and spawning conditions can be vastly improved in a priority watershed such as this for recovery of Coho salmon and steelhead trout. 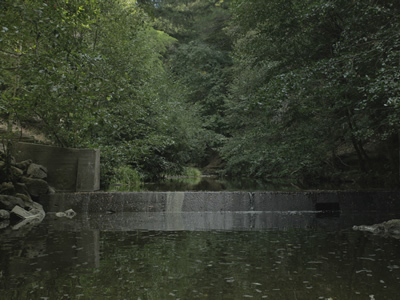 Through IWRP, the Coastal Conservancy invested in design work for the two Memorial Park fish passage barrier removals which generated grant funds from both the Department of Fish and Wildlife and local sources for implementation. Moreover, this investment and trust building, coupled with the additional funding that IWRP invested in the Pescadero Streamflow Study, has led to the San Mateo County RCD obtaining over $2million from the Bay Area IRWM for implementing of a suite of projects focused on improving streamflows in Pescadero Cr. The most notable of these projects will be a new storage system and diversion for Memorial Park, which will vastly decrease the rate and amount of water the park will be diverting during the peak summer tourist season.